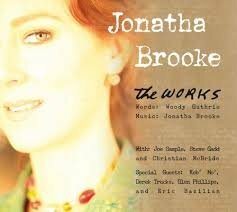 Folk-pop singer-songwriter Jonatha Brooke, who was born in Chicago in 1964, but moved to the suburbs of Boston with her family before she was a year old, clearly remembers the wide range of music her older brothers were putting on the turntable long before she got a guitar. She heard everything from Joni Mitchell to The Who. But when her dad gave her that guitar for Christmas when she was 12, the first thing she taught herself to play was America’s “A Horse with No Name.” By the time she was in seventh grade, she was playing in a band called Science Function, while at the same time taking ballet lessons. Settling in at Amherst College, two important things happened: She discovered The Roches, which led to her experimenting with open tuning to get some of their sounds, and she met singer-guitarist Jennifer Kimball at an audition for the college a cappella group The Sabrinas, resulting in the formation of the harmony-drenched folk duo Jonatha and Jennifer, which later morphed into The Story. 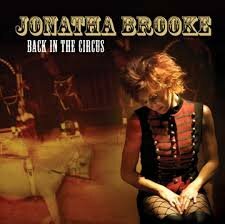 Brooke’s first stab at songwriting was during her sophomore year, when an assignment to put original music to any e.e. cummings poem became the Story song “Love Is More Thicker Than Forget.” The duo moved to Boston after college, and two Story albums, 1991’s Grace in Gravity and it’s 1993 follow-up The Angel in the House, were released. But Kimball parted ways as the third, Plumb, was taking shape, and it became a Brooke solo project. Several more solo albums came out, with many tunes featuring folkie ideas accompanied by jazzy chords. 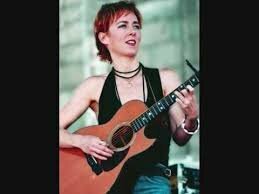 Brooke eventually gave up the dancing, concentrated on guitar playing, singing, and writing, and took up piano, mandolin, and kalimba. 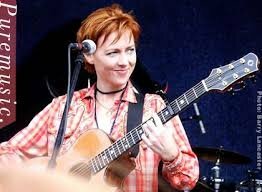 Along with her original material, she’s done covers of, among others, “Fire and Rain” and “Across the Universe” and, with the blessing of Woody Guthrie’s daughter, Nora Guthrie, put original music to some of his unpublished lyrics for her 2008 album The Works. Another major project was the 2014 Off-Broadway run of her music- and story-filled one-woman show “My Mother Has 4 Noses,” about her relationship with her mom while she was battling Alzheimer’s disease. 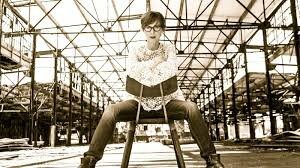 Brooke has been living in New York for almost 20 years, and her newest album of both dark and light, folkie and poppy songs, titled Midnight. Hallelujah was released in October, 2016.